There's a lot of good holidays... and then there's Valentines Day, the one day a year where you're allowed to go anywhere wearing a hot red dress and it's totally acceptable!! So obviously, I love this holiday. Whether you're going out with your hunnie or with your gal-pals, I KNOW you're looking online or in stores for that perfect getup. I put together this list of items all under $50 for whatever you're day/night out will look like this V-Day. Follow the "Buy Me" links below to find your perfect outfit, happy Love Day shopping!!! Bring on the romance! This dress is the perfect velvet ensemble for a night with your boo or a girls night out! I love red dresses, but sometimes I struggle with wearing a really bright red, so I love how dark of a shade this is. Boohoo is having a HUGE sale on a ton of their clothes, and this dress is a super affordable option. This isn't your classic little black dress... It's the super fierce version! I love the touch of lace and choker to add flare and a unique spin to the LBD. Pair it with the fuzzy mauve clutch to add extra texture to your look. I love me some black and white! For my body type, it always works best to pair a more loose-fitting top with a tighter skirt. How chic is this combo! 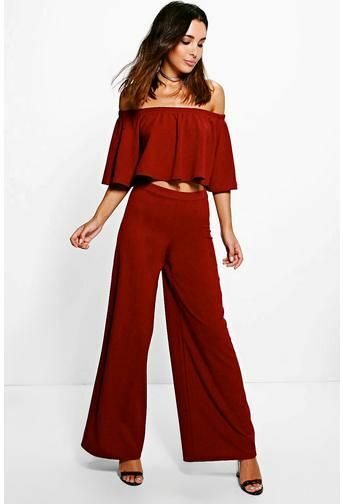 And the best news is it's on sale at Boohoo for $21! Try something different this V-Day with an embroidered heel. I love trying new things, and shoes are such a fun zone for that! You can completely change an outfit just by upping your shoe game, especially by adding a fun pattern like these floral heels. Major trend alert! Fur is so in right now. And how about that shade of mauve, mmm!! Check out the black dress above, and get this bag to add some flare to your little black dress this V-Day. This necklace is the perfect little number for any neckline that you want to let be the center of attention. Whether you're dressing up or down, it's the perfect romantic yet sweet touch to any outfit. Curves baby, curves! You got em? you need this dress. It will perfectly compliment your body type. A great dress doesn't have to be flashy or covered in lots of frills. Sometimes simple is best, and it's all about the fit. This purse is so cute, right?! If you head out on the town with this number hanging from your shoulder, you'll be the talk of the town guaranteed!! Get it before it sells out! Okay, helloooo hottie! I'm obsessed with this jumpsuit. I mean, the off shoulder, sweetheart neckline, slender fit.. plus it's black. and black is the best. Let's be honest. Pair this with one of the fur coats below and you'll be the talk of the friggin town. As you may know, I stand by my leopard. Don't care if it's in shoe form, shirt form, animal form or coat form (faux of course). Plus these coats are really popular right now. Honestly, I'd wear this baby with any outfit. Get it and go crazy with your options. Okay, I lied. Unlike all the great deals from this blog post, this coat is not under $50. It's a splurge if you'd be buying it. If you can't, it's great inspiration for you outfit! The plum hues are super flirty for V-Day and would compliment a clean white dress or skirt. Pair these hanging trio bubble gum drops with a white chiffon dress (shown below) and you'll be feeling sweet as a candy heart! They're a super fun way to spruce up a solid colored dress. These are not your typical heels. They're lacy, chunky, and sassy with a cute toe peep! There's a lot I love about these shoes because theres quite a lot going on, but they still manage to be simplistic and sweet. Pair with flowy pants or a cute tight dress, they'll look cute either way! Confession: I am a pajama person. Ask my husband. My favorite set that I have are just like these, but they're black with stripes and they're satin. However, I'm getting these because I don't care how many pajama sets I have, and you should too. They're perfect for a girls night in or (if you're married;)) a night in with your babe! Kick up the heat with this baby for your man! You'll be irresistable in this blush nightie after a nice dinner and movie. It's fun to dress up for your husbae, am I right!! Instead of the classic black choker, try this one with a white dress or black one piece to make it flirty. Black heels will be your safe zone for any outfit you choose. these cute ones have a sweet bow and a metal heel to give it's simplicity a little twist! These pants are fire, I would buy them not only for V-Day celebrations but also to keep for tons of other events! They are so versatile in how you can dress them up or down. I like this dress for the placement of the scallops. They're in flattering areas and the red is a lovely wine hue. I had to include a pencil skirt for the ladies that like to look professional. I love a good pencil skirt, and this one is suede!